1st Bn., 3rd SFG (A) at Fort Bragg -Special Forces Operational Detachment-Alpha team medical sergeant assigned to Company C, 1st Battalion, 3rd Special Forces Group (Airborne) based at Fort Bragg, N.C.
Kyle Warren was hard to miss, whether tearing down a rugby field or running toward a firefight through muddy poppy fields in Afghanistan. Though an intimidating bear of a man at nearly 6’3” and 240 lbs., he was a fun-loving, warmhearted guy who made friends effortlessly with his disarming, sometimes goofball charm. After graduating from Marina High School in Huntington Beach—going to college off and on and playing lots of rugby—Warren appeared to find his groove in life when he enlisted in the Army. He joined the elite Special Forces as a medic, with plans to become a firefighter-paramedic or physician’s assistant after his service, and married his longtime New Hampshire sweetheart. 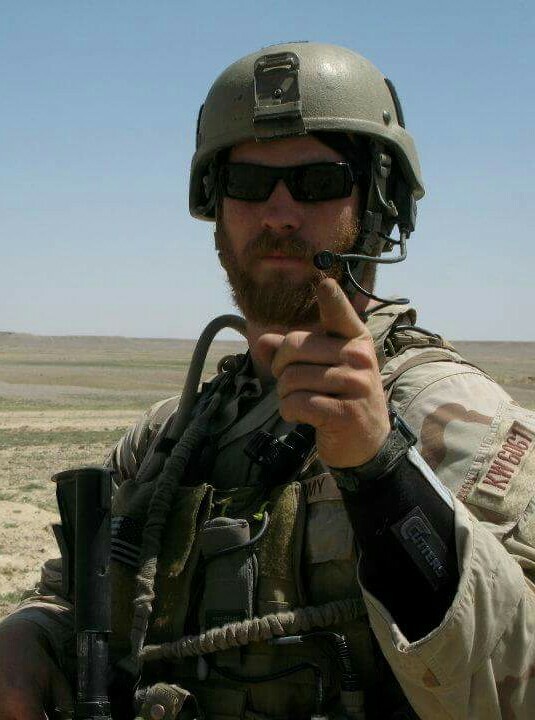 On July 29, 2010, the 28-year-old staff sergeant was one of two Special Forces soldiers killed by a roadside bomb outside Tsagay in southern Afghanistan's Helmand province, on the Pakistani border, where his unit had just finished meeting with town elders. Officials at the U.S. Army Special Forces Command said Warren was killed during a combat reconnaissance patrol. Warren was his team's medical sergeant, assigned to the 1st Battalion, 3rd Special Forces Group (Airborne) at Ft. Bragg, N.C.
Warren was always top notch and he took his job as a medic very seriously. Kyle helped save lives and was always the first to volunteer for a mission. While he and the other medics in Afghanistan provided healthcare for the elderly and sick during weekly town clinics, Kyle also rushed to save the lives of two boys seriously wounded and nearly killed by an improvised explosive device. They are walking around southern Afghanistan today because of Kyle. Warren was born at Little Company of Mary Hospital in Torrance and raised by his mother, Lynn Warren, and father, Del. The family later moved to Long Beach, then Huntington Beach, where the couple's only child played linebacker for the Marina High football team. Warren was buried at Green Hills Memorial Park in Rancho Palos Verdes, next to the graves of his maternal grandparents. Kyle Warren was about to serve his second combat tour of duty in Afghanistan, making sure to visit family members in Lakewood before heading overseas. He met his Aunt, Uncle, and Cousins at Del Valle Park. Warren didn’t talk much about the secretive work he was carrying out as a Special Forces medic, but he kept in contact with his big family. It is special to his family that this Memorial Brick was placed at the last place they saw him.